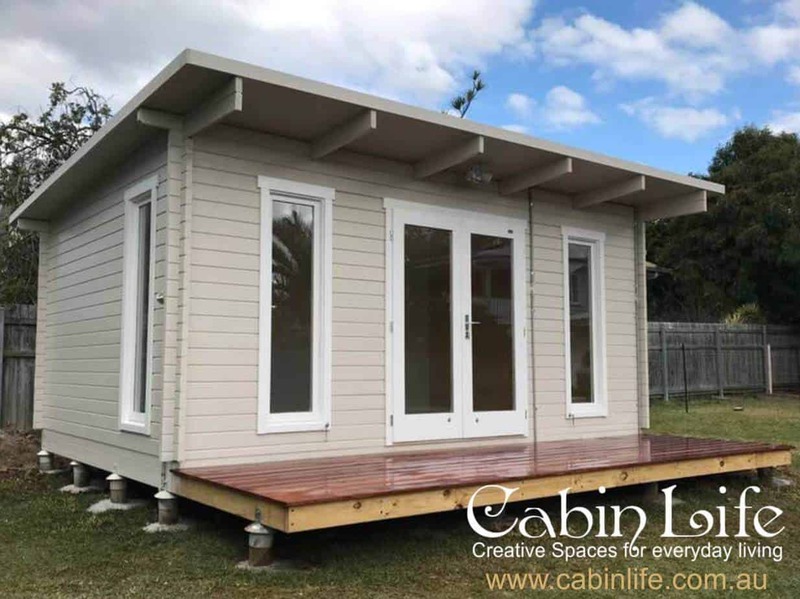 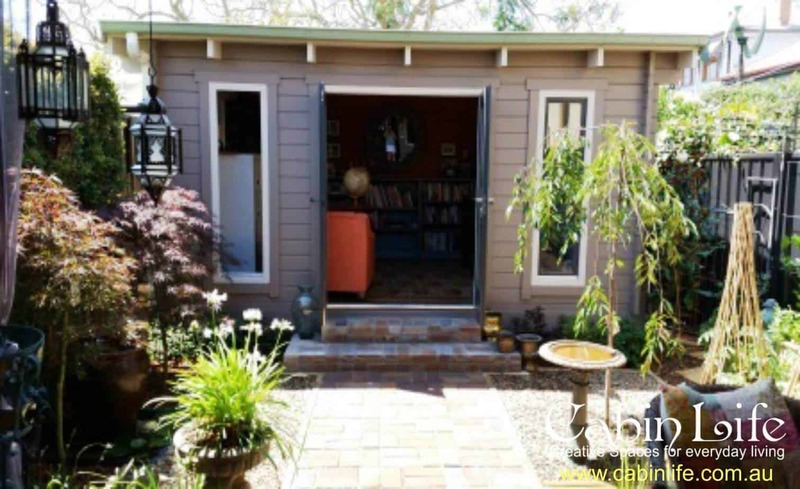 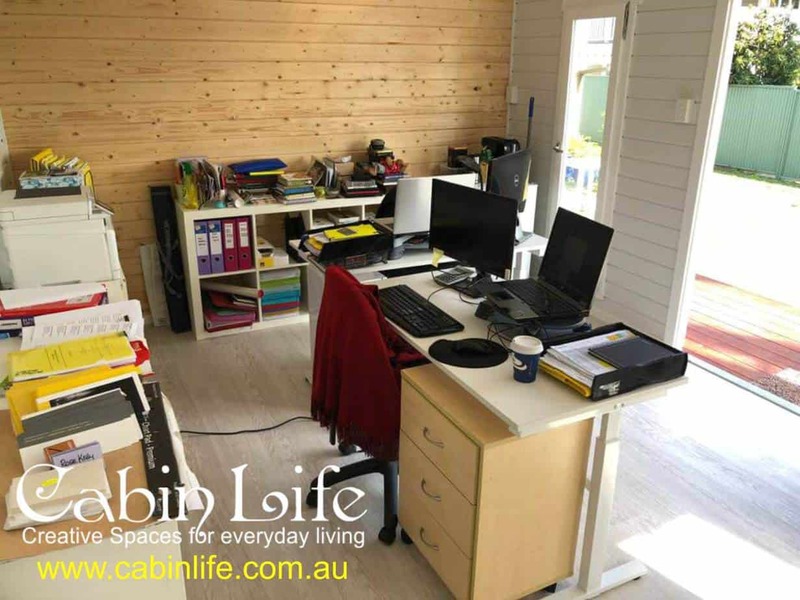 The Home Office Skillion Roof Cabin is a 5.19 x 3.39 metre beach style Cabin which is the perfect size for a Home office or a spare bedroom. 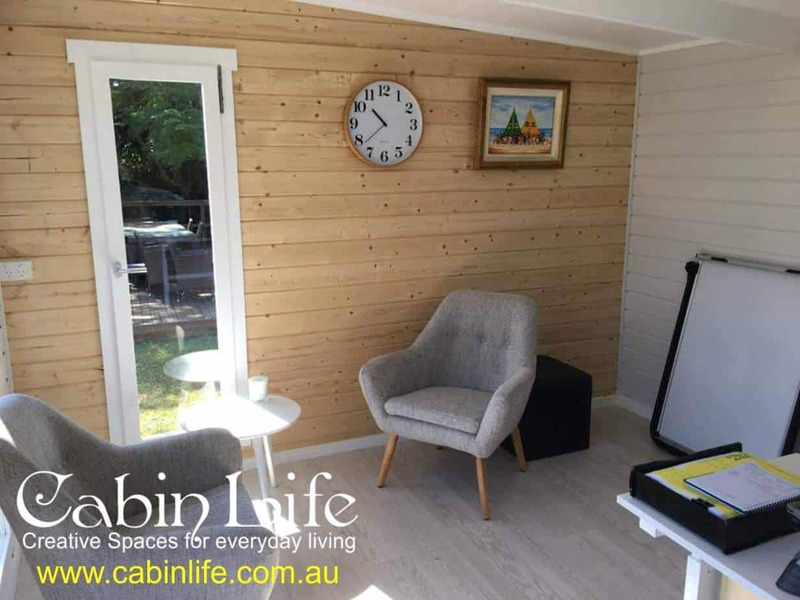 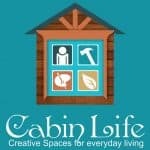 This cabin comes in 44mm thick timber. 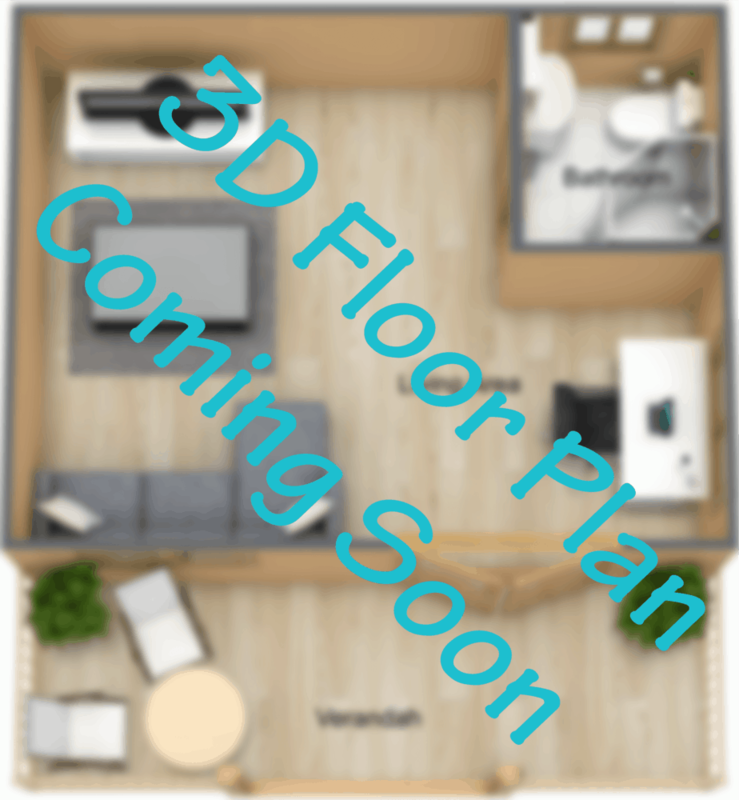 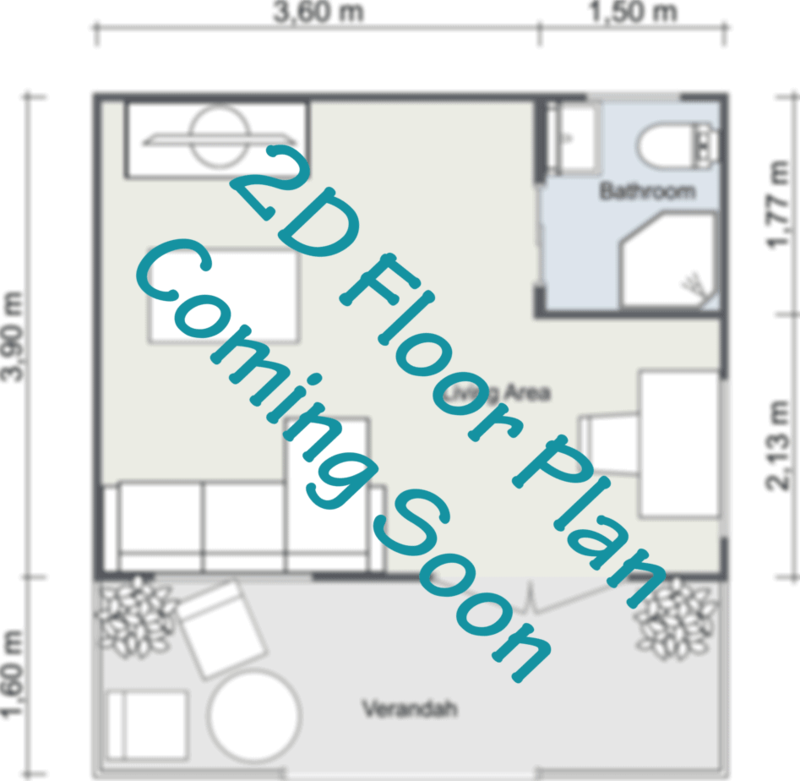 Overall Floor Space 5.19m x 3.39m = 17.5m² in total. 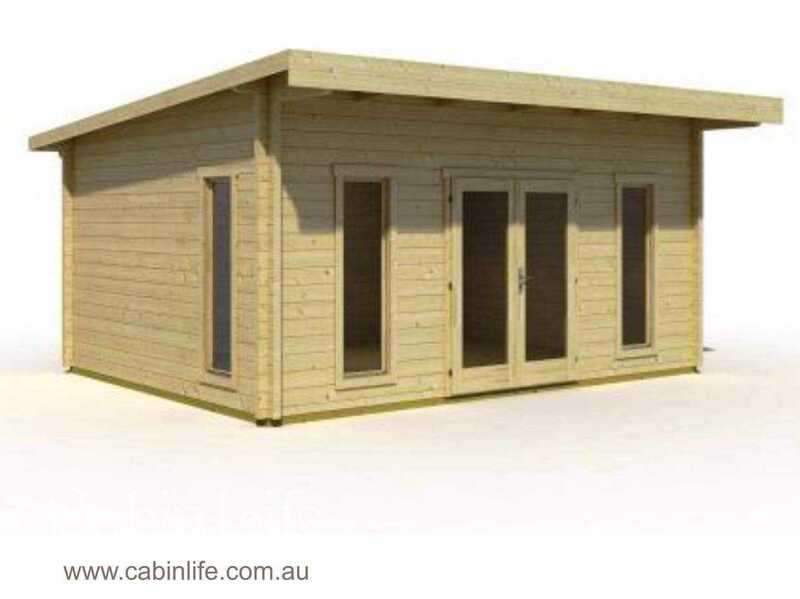 The standard Home Office Skillion Kit comes with 3 Double Glazed Timber Windows. 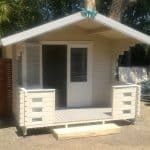 “Double Glazed” FullGlass French Doors with handles and locks is included in the standard Home Office Skillion package.